Have you ever been in one of those relationships that feels more hurtful than helpful but you lack the words to describe your emotions? 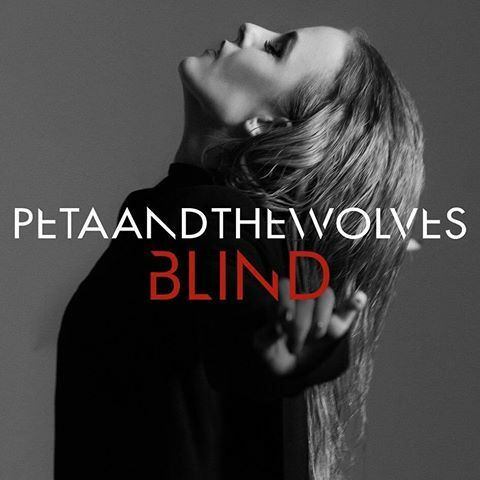 Well, look no further than Peta & the Wolves newest single Blind to help you explain those inexplicable feels. Peta & the Wolves is the ethereal hybrid of Australian synth-pop vibes and experimental Swedish melodies. Their music is characterized by a drum and bass electro-pop song structure, with a voice that can balance the fine line of fragility and strength. Peta & the Wolves vocals are composed, chopped, and positioned in a way that synchronizes each sonic element of the song and utilizes the voice as an instrument in and of itself. It tells an emotional story through stinging synths and a chorus that poses questions we’ve all asked ourselves in a tumultuous tryst. Blind is a lyrically relatable emotional rollercoaster that encompasses the hurt of heartache, while also exemplifying the angst one experiences when scorned by a lover… and to make it even more impactful, they incorporated a melodic phrase that builds beautifully and breaks impulsively, just like the ups and downs of a capricious relationship. Their 2014 song Scum charted their lyrical course, one that is a self-reflective yet brutally honest look at what we do to ourselves and to others in relationships. We all get hooked on that one person… the one who makes us feel like nothing is right unless we are with them… but I think I’ll get hooked on this song instead. Get to know Peta & the Wolves before they drop their debut EP later this year! Thanks to the power of the internet, I was able to chat with Peta herself about their music and how the duo came to be. Check out the exclusive interview here. Be sure to keep your ears and eyes on them for the Blind music video coming out soon! Similar if you like Broods, Verre, Luna Aura, EZA, Luna Shadows, Florence and the Machine, Grace Mitchell, GEMS, EXES, MØ, KLOE, Rozes, Emily Vaughn, Vérité. An Interview With The Folk-Rock Band, FATHER MOUNTAIN!